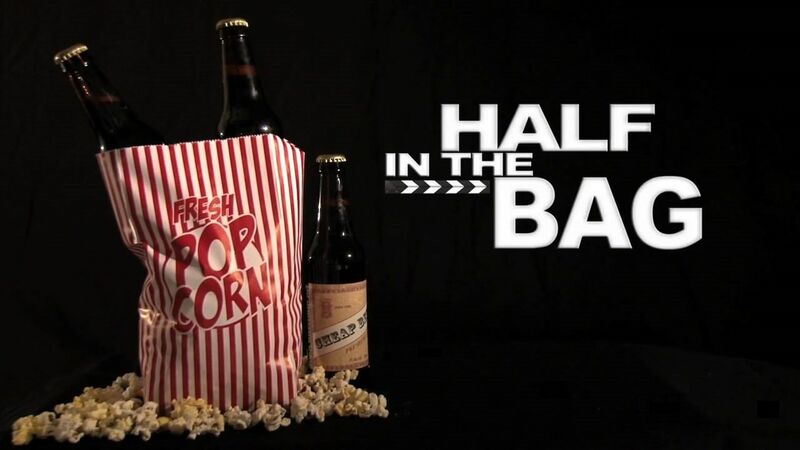 Here's where to watch every episode of Half in the Bag season 2011. Mouseover or tap an episode to see where to stream it. Click or tap the play icon to stream it on the best available service. Drive Angry and The Adjustment Bureau Mar 11, 2011 Jay and Mike review Drive Angry 3D and The Adjustment Bureau. Battle: Los Angeles and The Galaxy Invader Mar 15, 2011 Jay and Mike discuss a new sci-fi alien invasion film, and a "classic" one from the 1980's. Paul and Toronto Comic Con 2011 Mar 26, 2011 Thanks to everyone involved in this video! Sexynerdgirl.com, Dustin Diamond, Scott Thompson, Jake Lloyd, Ray Parker Jr., Peter Chewbacca, Kermit the Frog, Darth Vader, and of course all those awesome people we didn't get release forms from! Till next time on Half in the Bag! Sucker Punch Apr 1, 2011 Jay and Mike share their thoughts on the Zack Snyder film, Sucker Punch. Your Highness and Samurai Cop Apr 14, 2011 Jay and Mike take on David Gordon Green's ; "Your Highness" as well as the should-be cult classic "Samurai Cop." Troll 2 and Best Worst Movie May 22, 2011 Jay and Mike are joined by the suspicious Officer Cooper for a double feature of Troll 2 and the documentary Best Worst Movie. The 2011 48 Hour Film Project Jun 30, 2011 Mike and Jay explain the process of participating in the 48 Hour Film Project and shooting a short film in such a small amount of time. Captain America and The Rocketeer Jul 24, 2011 Mike and Jay of Red Letter Media discuss Marvel's latest feature-length trailer for the Avengers movie. Cowboys and Aliens Aug 6, 2011 Jay and Mike discuss the film Cowboys and Aliens while mysterious assailants throw bricks through Mr. Plinkett's window. Rise of the Planet of the Apes and Cyphan Con 2011 Aug 15, 2011 Mike and Jay discuss a recent monkey movie, then recount their experiences at a recent Chicago-area sci-fi convention. Chicago Comic Con 2011 Aug 26, 2011 The most cynical, sarcastic coverage of comic con yet! Fright Night and Conan the Barbarian Aug 31, 2011 Mike and Jay discuss two pointless remakes, as well as discover a mystery. The People vs. George Lucas and Star Wars discussion Sep 16, 2011 Mike and Jay are joined by Alexandre Philippe, director of the documentary The People vs. George Lucas, to discuss all things Star Wars, including the new blu-ray alterations and what's wrong with George Lucas' brain. Drive and Contagion Sep 28, 2011 Mike and Jay discuss two unconventional new releases, then have to figure out with a pesky new VCR. Robot and The Last Circus Oct 11, 2011 Mike and Jay go to the Milwaukee Film Festival to see two weirdo foreign films. Mike learns all about a causality loop and how to alter history. What's Your Number? and The Black Ninja Oct 21, 2011 Jay and Mike are joined by a female stand-up comedian who shares a much different view than them on romantic comedies and horrible b-movie schlock. Jack and Jill Nov 20, 2011 Mike and Jay discuss the epic con that is Adam Sandler's entire career.